Last year for my (January) birthday my thoughtful husband bought me a Fitbit to measure my daily walking steps and calculate rough distances. 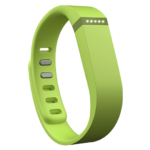 It counts your steps by tracking the number of times you swing the arm to which it is attached. We both thought it was a great idea, and it pleased my doctor who was encouraging me to make healthier choices and lose a few pounds. So I gave the Fitbit experiment an entire year. Then, a couple of weeks ago, the battery needed to be charged again (a typical charge lasts about five days) via my computer (a synching device must be plugged into one of your computer’s portals) at an inopportune time. We were out of town and away from computers (Thank God!) so there was no way for me to re-up the charge. It was, however, an opportunity for me to reconsider if I wanted to give this device more time and more control over my life. I decided then and there (New Orleans) to just stop using the darned thing – not a big decision, I assure you, but a deliberate one. For starters, I didn’t like the idea of being controlled by a piece of plastic. That battery powered, athletic wristband was starting to factor into my life entirely too much. I’ve always been a walker since joining my high school track team as a race-walker (Would you believe it’s an Olympic event? ), so walking is something I’ve always enjoyed. But this little contraption was taking the fun out of it. Instead of having fun, my focus was now to be certain to swing my right arm while walking so that I didn’t miss out on clocking in my, at least, 10,000 daily steps. That meant if I had to carry anything and wanted to have the steps count, it had to be carried in the opposing arm. Additionally, not hitting the 10,000-step goal or getting near 20,000 steps but not quite hitting the mark left me anxiously checking my progress (the respective website) several times a day. I was starting to have anxiety in areas where I had never had it before. Then there were the times when my husband would want to hold my hand, and I’d have to tell him, “Not this one… I have to get my steps in.” Again my wristband was calling the shots. “That’s’ it!!!! I’ve had enough of this!” I told my wristband. So that was that. The wristband now sits in a drawer, and I’m still walking but now, sans plastic dictator, and it feels really GOOD!!!! ←Have You Ever Really Looked at a Dragonfly?